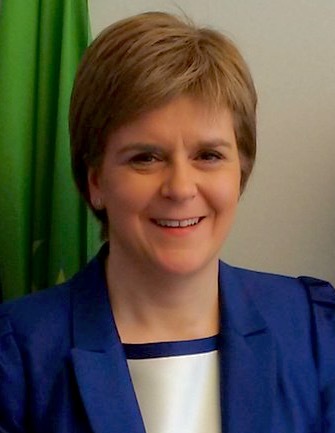 Rhona le pìòs goirid mu Nicola Sturgeon agus an dòigh anns am bi daoine a’ càineadh bhoireannaich gun chlann. Bidh a’ mhòr-chuid de dhaoine air naidheachd dhuilich Nicola Sturgeon a chluinntinn mu thràth: gun robh Sturgeon agus an duine aice an dùil ri leanabh beagan bhliadhnaichean air ais, agus gun do chaill iad e.
A rèir Mandy Rhodes, ùghdar an leabhair ùir Scottish National Party Leaders, tha daoine air Sturgeon a chàineadh thar nam bliadhnaichean ’s iad den bheachd gun do chuir i prìomhachas air an dreuchd phoileataigach aice seach air clann ’s teaghlach. Tha am beachd sin air dragh a chur air Sturgeon, agus sin an adhbhar gun do ghabh i an roghainn an t-seachdain sa chaidh a bhith a’ leigeil le Rhodes am fiosrachadh seo a sgaoileadh don phoblach. Gu dearbh, tha am beachd sin a’ cur dragh ormsa, cuideachd, oir ’s e seo an sub-text: Mas e boireannach a th’ annad, chan eil e gu diofar dè cho comasach ’s a tha thu san dreuchd agad, no dè cho cudromach ’s a tha an dreuchd sin, cha bhi cuid a’ cur luach ort son dreuchd sam bith ach màthaireas. Tha seo gam fhàgail feargach. Tha Sturgeon air a bhith cho soirbheachail mar neach-poileataigs, mar cheannard a’ Phàrtaidh Nàiseanta agus mar phrìomhaire na dùthcha seo. Tha i air “approval ratings” fhaighinn a tha nas àirde na neach-poileataigs sam bith eile san RA, chan ann am measg Albannaich a-mhàin ach am measg sluagh na RA air fad. Ach fhathast, tha cuid den bheachd nach eil i math gu leòr, air sàilleibh ’s nach eil clann aice. Feumaidh sinn sgrùdadh na tha air cùl a’ bheachd seo. Anns a’ chiad dol a-mach, tha teachdaireachd ann gu bheil rudeigin ceàrr air boireannaich gun chlann, gu bheil e “mì-nàdarra” ann an dòigh air choireigin. Thèid ìomhaigh an “evil stepmother ” a chleachdadh gu tric: tha e dualtach do bhoireannach gun chlann a bhith na neach fuar, fèineil, an taca ri màthair chòir, choibhneil, leithid Margaret Thatcher, ’s dòcha (dithis chloinne), no Katie Hopkins (triùir dhiubh). Agus gu tric, nuair a bhios daoine a’ càineadh bhoireannaich airson an roghainn aca thaobh chloinne, cha bhi fios sam bith aca an e roghainn a bh’ ann idir. Ged ’s e rud gu math cumanta a th’ ann a bhith a’ call leanabh, agus ged a bhios sinn uile eòlach air daoine aig nach eil clann ged a bha iad gan iarraidh, cha bhi daoine a’ stad agus a’ smaointinn air na h-adhbharan pearsanta no meadaigeach a dh’fhaodadh a bhith ann. Chan eil e ceart gum bi daoine a’ gabhail gnothach ri rud prìobhaideach mar sin, ach bidh boireannaich a’ cluinntinn nan ceistean sin tric gu leòr co-dhiù. Bidh sinn ag ionnsachadh gu luath gur e seòrsa de shealbhan poblach a th’ anns na h-ovaries againn, agus daoine ’n dùil gum bi sinn deònach freagairtean a thoirt seachad man deidhinn, uaireannan air beulaibh mòran daoine. Mar as trice ’s e boireannaich eile a bhios a’ cur nan ceistean sin oirnn: “It’s about time you had some of your own” air neo “Are you not thinking about having another one? Don’t leave it too long!” Mar a thuirt caraid dhomh o chionn ghoirid, “Dè dhèanadh iad nan robh mi air am freagairt gu fìrinneach, meadhan an dinner party? “Actually, tha mi air trì leanabhan a chall taobh a-staigh bliadhna agus tha mi a’ feuchainn gu cruaidh an-dràsta gun a bhith a’ rànaich.” Tha iomadh adhbharan eile a dh’fhaodadh a bhith air cùl na cùise, ach cha bu chòir dhuinn boireannaich a chur ann an suidheachadh far am bi aca ri fiosrachadh pearsanta (uaireannan pianail) a leigeil ris dhuinn, air no breugan innse. Le Sturgeon, mar a chuala sinn o chionn ghoirid, cha b’ e roghainn a bh’ ann nach eil clann aice. Ach tha Sturgeon airson mìneachadh gum bu chòir an roghainn sin a bhith ann do bhoireannaich, gun eagal air càineadh fhaighinn. Ged a thug daoine a’ bhreith cheàrr air suidheachadh Sturgeon, ’s e an teachdaireachd a th’ aice nach bu chòir do dhaoine breith a thoirt air boireannaich co-dhiù. Thuirt i, “the point is that judgements and assumptions shouldn’t be made about what are personal choices and experiences.” Dè cho fada ’s a bheir e mus bi daoine a’ tuigsinn sin? 12 An t-Sultain 2016 in Naidheachdan & Poileataigs.